Removal ProcedureRecord all of the radio station presets.Disconnect the battery negative cable. Refer toBattery Negative Cable Disconnection and Connection. 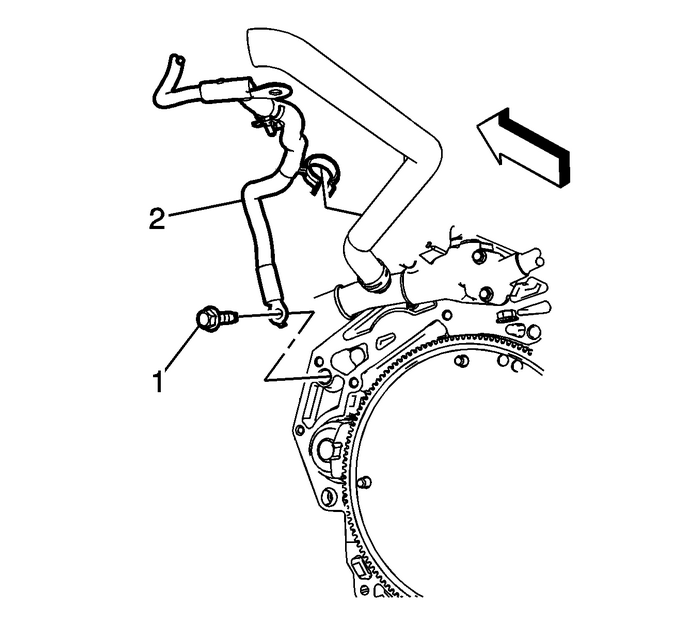 Disconnect the battery current sensor from the bodyharness-(1).Remove the battery negative cable ground nut-(2)from the frame rail. 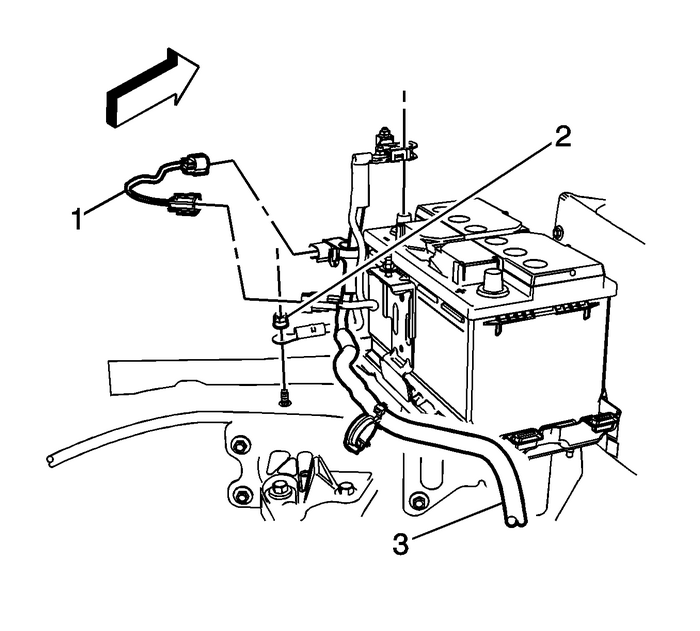 Remove the battery negative cable engine groundbolt-(1) from the engine block. Note:Observe how the battery negative cable was routed within theengine compartment. Install the battery negative cable engine groundnut-(1) to the engine and tighten to25-Y(18-lb-ft). Install the battery negative cable frame groundnut-(1) to the frame rail and tighten to25-Y(18-lb-ft).Install battery negative cable clamp to the battery post.Refer toBattery Negative Cable Disconnection and Connection.Reset the radio channel presets.